In the year 2000, long before “mindfulness” entered the popular lexicon, Rev. 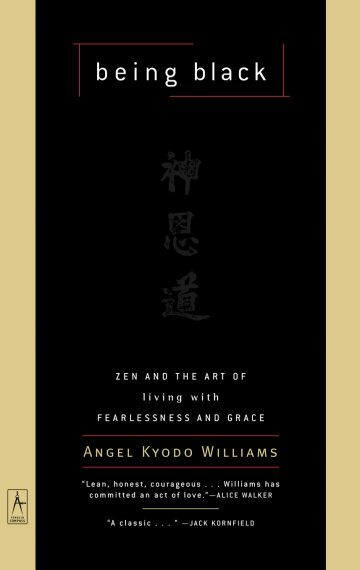 angel Kyodo williams exploded onto the book scene with an uncanny and unexpected combination: the wisdom themes of ancient Buddhism, framed as an invitation to modern Black folks and people of color: Being Black: Zen and the Art of Living With Fearlessness and Grace was born. Combining the universal wisdom of Buddhism with an inspirational call for self-acceptance and community empowerment, BEING BLACK: Zen and the Art of Living with Fearlessness and Grace by Angel Kyodo Williams is a down-to-earth spiritual handbook for any American searching for self-acceptance and lasting personal happiness. BEING BLACK teaches us how a “warrior-spirit” of truth and responsibility toward oneself and others can be developed into the foundation for true freedom and personal transformation. Williams grew up facing the challenges that confront African-Americans every day. In BEING BLACK she puts a timeless philosophy within the context of negotiating life as a person of color. 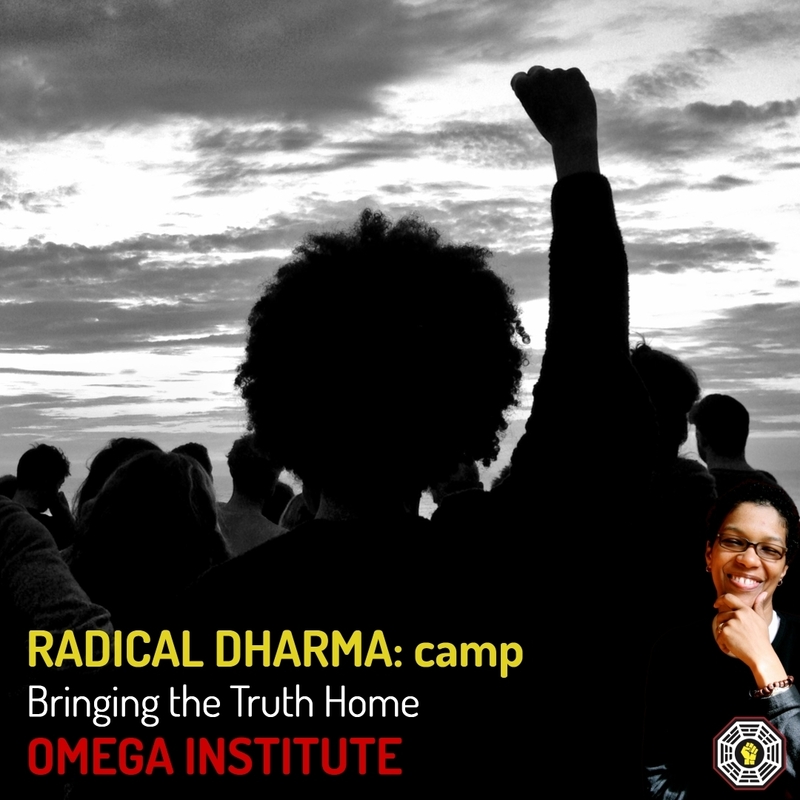 With her eloquent, hip, and honest perspective, Angel Kyodo Williams shares personal stories, time-tested teachings, and simple guidelines for awakening our warrior-spirit. She invites readers from all spiritual faiths and backgrounds to step into the freedom of a life lived with fearlessness, grace, and fluidity. As BEING BLACK explains, our “warrior” aspect invites us to see that any true personal transformation is an act of revolution. Our “spirit” reminds us that this revolution is about our lives, so we must be patient, open, and giving toward ourselves and others. The book was critically acclaimed for its wisdom from icons, scholars, magazines, and reviewers of Buddhism, Blackness, and popular culture alike. Being Black even inspired and spawned a collection of conscious hip-hop songs with spoken interludes from the book. 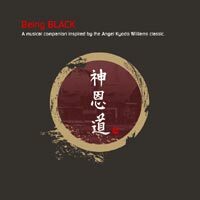 Featuring some of the most talented artists of the genre, the soundtrack to Being Black enjoyed popularity in both its formal (USA) and spiritual (Japan) birth places, including a coveted gold CD release in Japan. As foreshadowed by Kornfeld’s praise, Rev. angel has gone on to become — as Library Journal said: “not the only, but…most intriguing African-American Buddhist,” one of a small handful of Black Zen teachers, a formidable wielder of dharmic wisdom, a vocal and integrated social justice activist, and an unflinching truth-teller on the topic of race, not just for Buddhism, but for society at large. The fateful day of September 11, 2001, sent the entire book industry into a massive downturn — coinciding with when williams was to head out on the second book tour for the paperback follow-up on Being Black’s initial strong and positive reception. Now, owing to the power of her new book, Radical Dharma: Talking Race, Love and Liberation, Being Black is witnessing a surge in interest and once again finding audiences both familiar and entirely new.